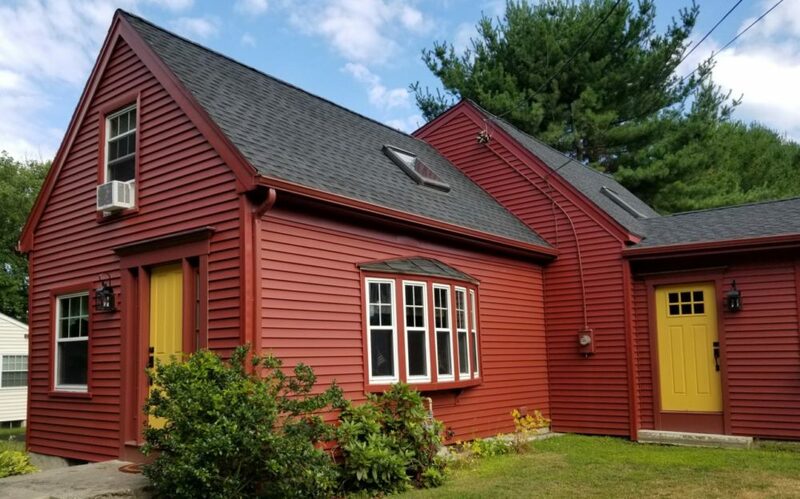 This Swansea, MA home looks great with a brand new GAF Timberline Roofing System, Therma Tru Door, and maintenance free Mastic Vinyl Siding. Mastic Vinyl Siding adds strength and effortless beauty to any home, and this homeowner chose to get a hassle-free makeover with Mastic Vinyl Siding in a bold color of Russet Red. 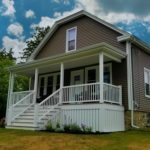 No longer having to worry about repainting their home every 3 to 4 years this homeowner can enjoy the look of natural wood without all the work. 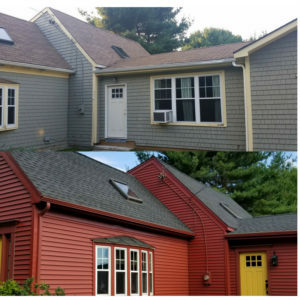 This siding comes in a beautiful assortment of fade-resistant colors, textures, and styles. Choosing a color and style is what turns a house into your own home. 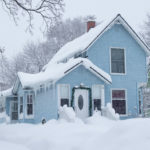 To help choose what is right for you and your home use the virtual Home Exterior Visualizer. As a Mastic Elite contractor, we are proud to offer our customers professional product warranties in addition to our very own, 10 year workmanship guarantee. We also installed a Therma Tru Smooth Star Entry Door, to give this homeowner an energy efficient entryway. 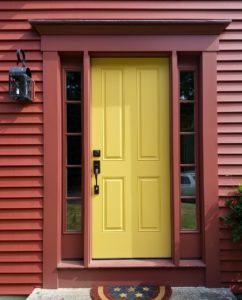 Manufactured in Londonderry, New Hampshire, these doors are customized to fit your home. With such unique styles and glass designs as a customer, you have a lot of options to get the perfect door for your home. You can use the Design Your Door option on the Therma Tru website to help design your perfect door. We also stripped the original roof and replaced it with a brand new GAF Timberline HD Lifetime Roofing System in Charcoal Gray. This roof can handle harsh weather with winds up to 130 mph giving this customer peace of mind that their shingles will stay in place. As a GAF Master Elite Contractor, our customers receive a factory registered, 50 year, non-prorated, transferable warranty plus our very own 10 year workmanship guarantee! 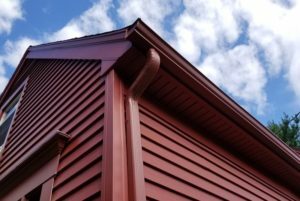 To learn more about the components that go into a GAF Timberline Lifetime Roofing System check out our blog GAF Lifetime Roofing System Components. When the time comes to update your home, you can trust Care Free Homes to provide professional products, quality workmanship, and reliable customer service. Don’t postpone your project! 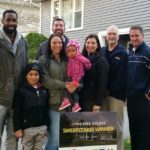 Get a free quote by calling (508) 997-1111. Make your house a Care Free home.